We had lunch last Friday at Le Pont de la Tour and I was ever so grateful that despite the freezing cold we’ve had to endure thus far this winter, at least this day turned out to be one of lovely sunshine beaming down over London. One of the endearing features of Le Pont de la Tour is that it has secured a prime location overlooking Tower Bridge, and so a sunny day makes for fine viewing indeed. Le Pont de la Tour at lunch time is a place for the suits, if the attire of those dining at the three other tables at the restaurant were anything to go by. Certainly, it can be enough to make you feel uncomfortable if you are wearing anything but. And the price tag attached to the lunchtime menu (£19.50 to £25 for mains) might warrant most people to only lunch here if they’re on an expense account. I suspect Boris Johnson, Mayor of London, and the three colleagues he was dining with a few tables down would have been doing nothing but. Unfortunately they were seated a little too far away for me to be able to eavesdrop on any noteworthy gossip on the state of London’s affairs that I could share with you. But his presence paved the way for us to spend a good 10 minutes having a nice giggle (oh yes we did) about the sort of shenanigans we could potentially get up to involving Boris that might secure us a spot on the 6 o’clock news and a chance for our 15 minutes of fame. But back to the more important matter at hand: the food. Sadly we were not on an expense account, so we settled instead on the menu du jour (3 courses for £25). A smoked haddock omelette with hollandaise glaze was just lovely. A baked omelette, it was runny and soft and warm in the centre, with pieces of flavoursome smoked haddock running through. A celeriac soup with garlic croutons was also gorgeous. It was creamy and rich with an intense depth of flavour that satisfied even the palate of my vegetarian friend who normally finds only disappointment with vegetarian options at restaurants. 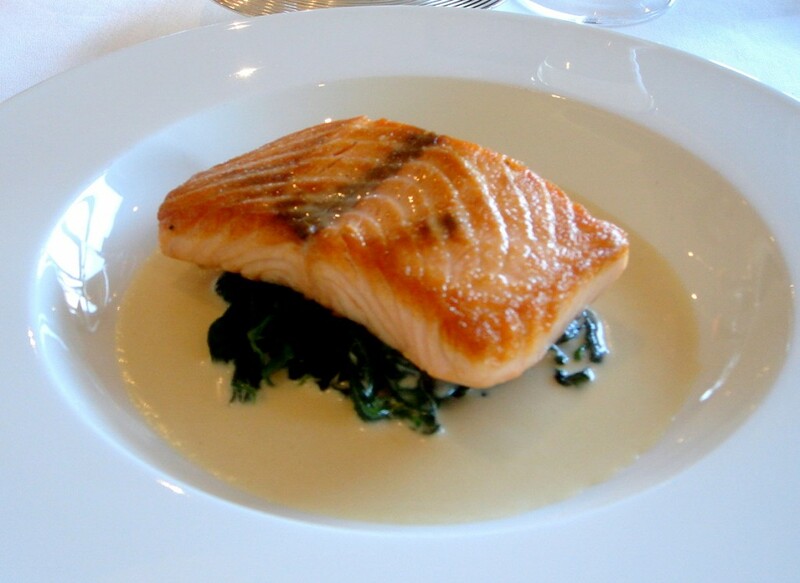 My fish main of pave of salmon, wilted spinach and horseradish sauce left me wondering if the poissonier (fish chef) was having a slightly off day. My salmon turned up well done, even though I had ordered medium rare. Conversely, the adjoining table suffered the opposite problem when both patrons sent their salmon back for being underdone and not cooked properly. Clearly not all was quite going according to plan at the fish station. But I couldn’t fault the execution of the sauce. Light, creamy and reduced perfectly, it complemented the fish wonderfully. Another main of beef and Guinness pie with pomme gaufrettes was satisfying and hearty with a light crispy pastry. 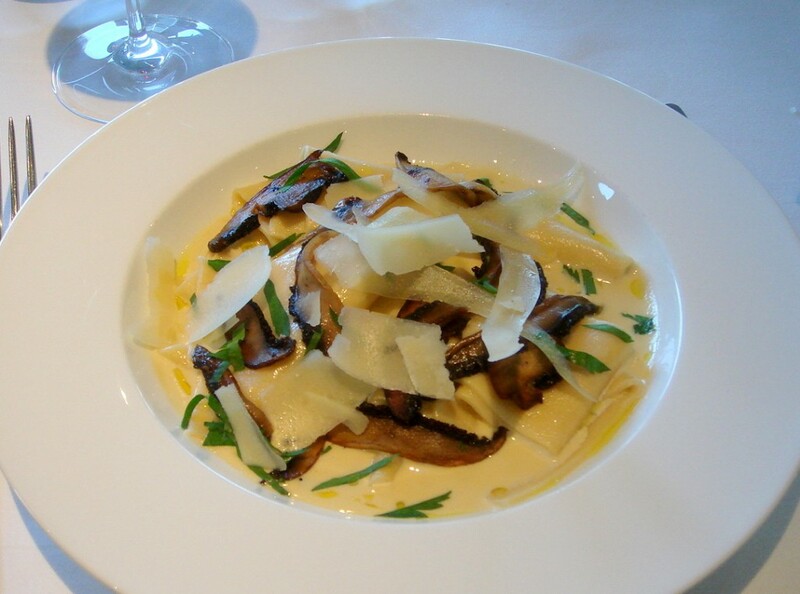 A vegetarian papparadelle with wild mushrooms proved bland however and needed more flavouring in the cream-based sauce. To desserts. There’s always something so wonderfully satisfying about a trifle. Cream, sponge cake and fruit always work well together and our trifle of blackberry and sherry worked very well, thank you very much. But a chocolate tart with mascarpone mousse disappointed due to an unappetising pastry and its miniscule portion size. 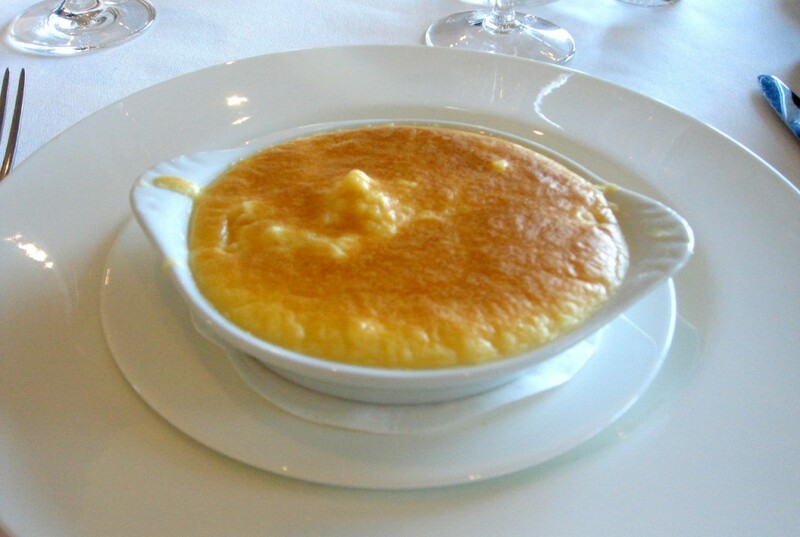 Similarly, a musetti coffee bean crème brûlée wasn’t quite right texturally, proving too eggy. Despite the few irks, I was in a forgiving mood since I was only paying for a limited price menu and the fact that it was a sunny day. At full prices I undoubtedly would have been less impressed. But it was enough to demonstrate that there is inconsistency in the standard of the cooking, and enough to make me wary about forking out for a full price menu. In fact, on a previous evening visit, my order of grilled lobster with béarnaise sauce was pleasant, but unspectacular and pricey at £35. 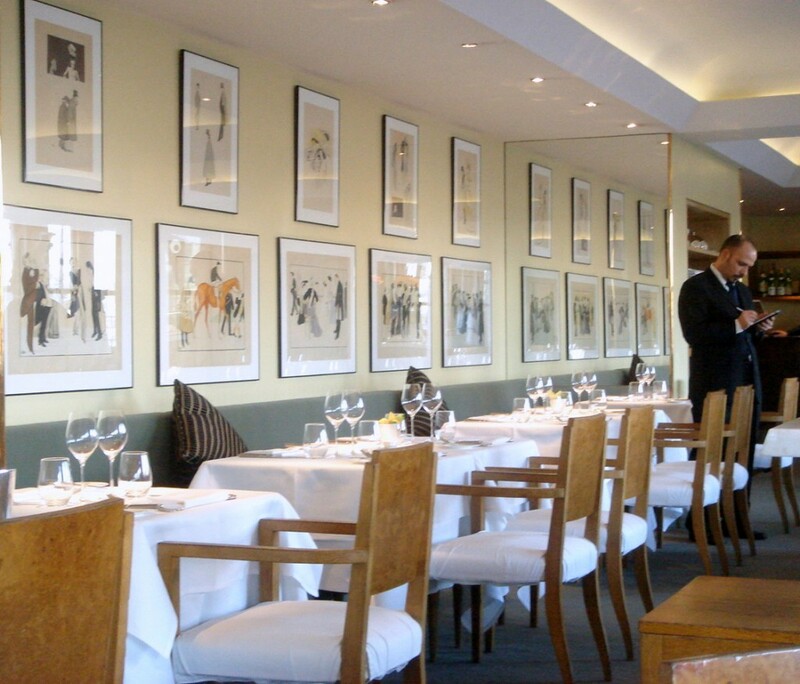 Le Pont de la Tour was formerly part of the Sir Terence Conran restaurant empire and was bought by D and D London, a restaurant group, in 2006, so his designer influence still remains. The setting is refined sophistication with a stiff upper lip; from the crisp, perfectly pressed white tablecloths to the hand drawn pictures of the upper class gentry sporting top hats that line the full breadth of the walls. Service is stiff, and a bit too self important. But then this is a power players’ haunt, and there’s a hard-covered book of serious wines to prove it, with seriously matching prices. There’s also a simpler, cheaper bar and grill menu at the adjoining, and slightly less formal bar area where in the evenings a pianist plays cocktail tunes. All very dandy, but just be aware of the noise levels which can render conversation a little difficult. 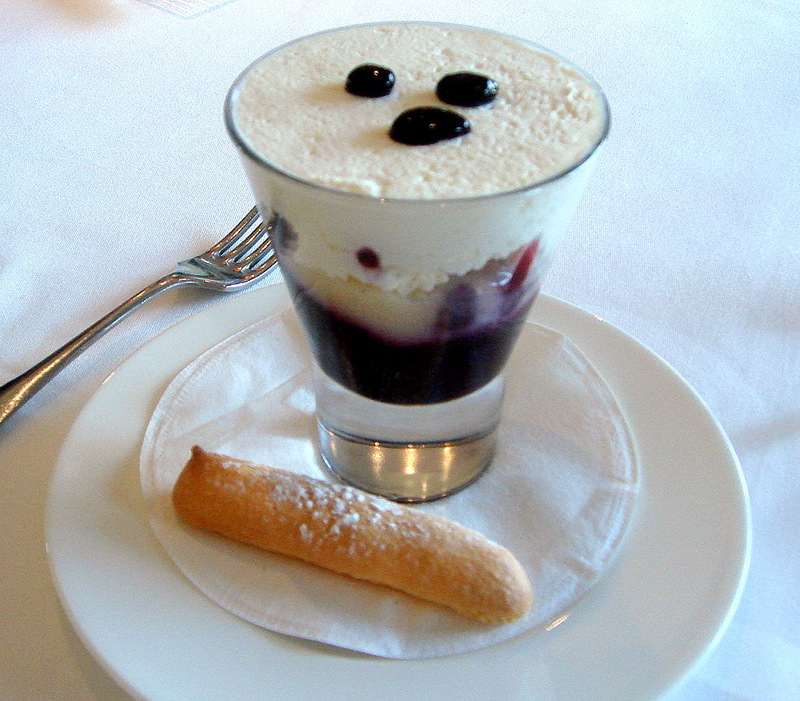 Approximate price bracket – £25 for the three course set menu lunch, otherwise £40 to £60 (based on three courses). Excludes drinks and service.